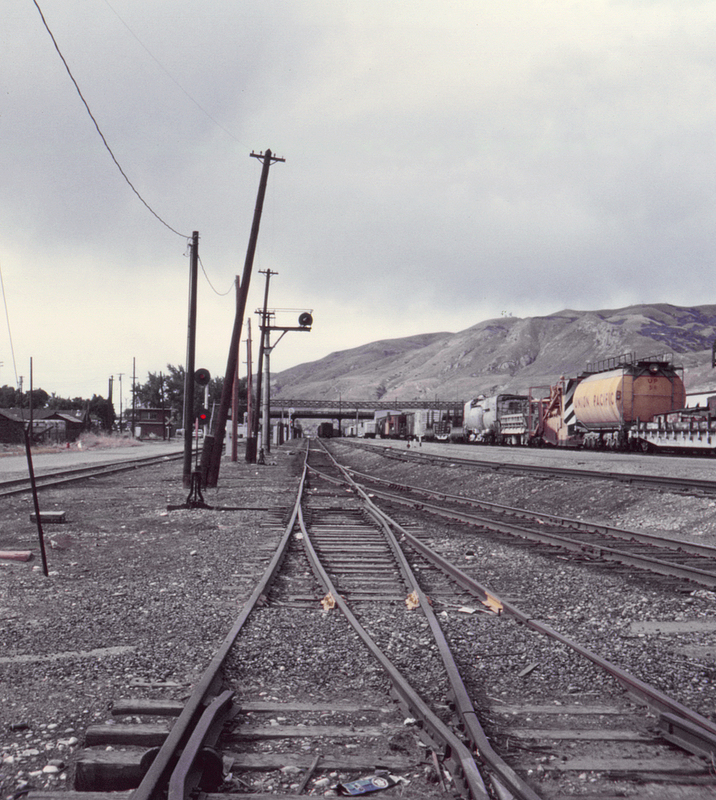 This view of the Union Pacific's former Oregon Short Line main through Salt Lake City looks north, towards Ogden. The station is at right; the tracks at far left are the Denver & Rio Grande Western's parallel line to Ogden, abandoned some time in the mid-1990s. The footbridge connecting the station with the area west of the tracks is visible in the distance in front of the highway bridge (North Temple Street).